Tom was in the army for nine years. He joined as a chef but was picked out for a military role. His was a forward observation spotter, seeking out targets for bombing and reporting back following strikes. Tom suffered from PTSD for 22 years without seeking help. He worked in a number of jobs and self-medicated with illegal drugs and alcohol, leading to relationships breaking down with his partners and children. Tom remembered that RFEA got him a job in Bosnia in 1995 and got back in touch. 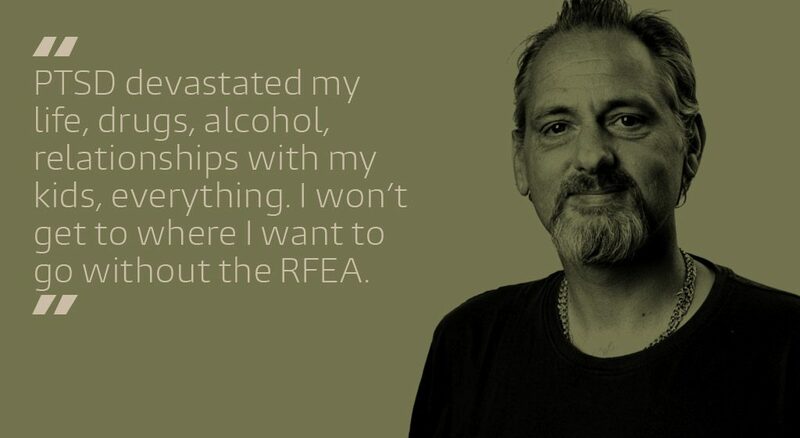 RFEA was able to connect him with other charities including Finchale College. He completed intensive therapy this year and is starting a horticulture course.